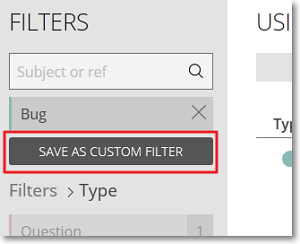 After you select filtering criteria from one or several filtering options, you can save those criteria as a custom filter for future use. Under the list that shows the selected criteria, click SAVE AS CUSTOM FILTER. This action displays a text box where you can enter the name of the new custom filter. In the text box, enter the name of the new custom filter and then press Return / Enter on your keyboard. 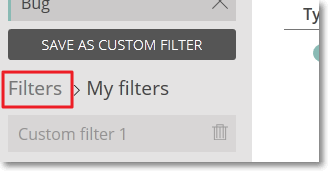 The new custom filter is added to the custom filters list. To return to the list that shows the available filtering options, above the list with custom filters, click Filters. 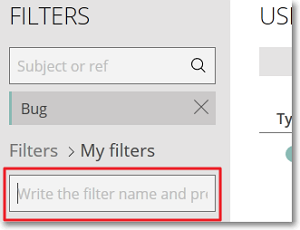 To delete a custom filters from the custom filters list, on the right side of the name of that filter, click .